Hi there! My name is Emily Delaney and I am a student at Butler University. I am currently in the first semester of my senior year and am studying Strategic Communications – which is a fancy term for Advertising & Public Relations. Prior to moving to Indianapolis to attend Butler, I had spent my entire life in my home town of St. Charles, Illinois. About 40 miles west of Chicago, I enjoyed growing up in a relatively large town that had a lot of activities and resources to offer. When I moved to Indianapolis, I was a little bit skeptical about the whole idea. After visiting the city for the first time, it seemed to me that there was a major misconception of the word “downtown” here in Hoosier-ville. Call it stereotypical “Chicago Charm” but Indy seemed like a sleepy little town in comparison to the bustling Windy City. However, it did not take long to realize that beyond the corn fields and tiny towns, the quiet but friendly state of Indiana is a fantastic place to be. 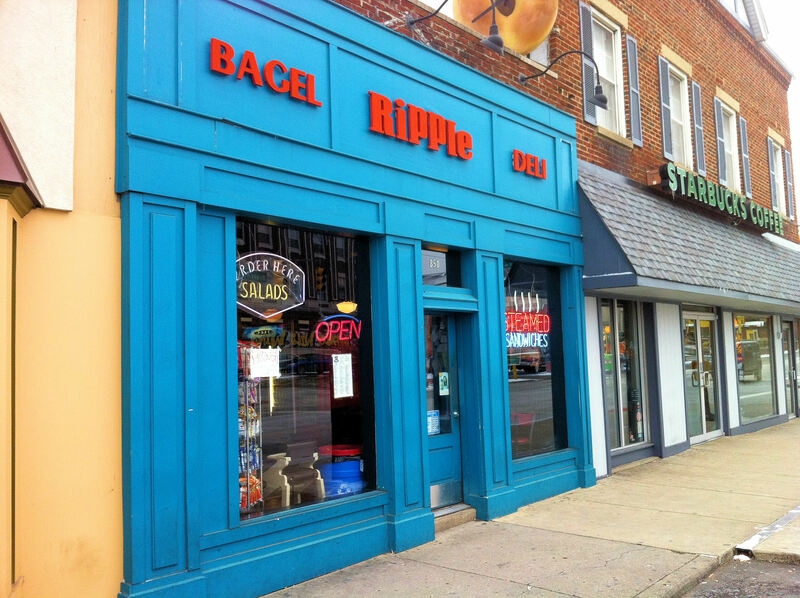 As a student, I love going to Broad Ripple for a quick lunch date with friends or a night out on the town. It is such a quirky and unique little village and it is the first place I take friends and family when they come to visit. Cruising down Broad Ripple Avenue, you can’t help but notice the abundance of great food, bars, and shopping available and I have spent the past three year exploring and identifying the best that Broad Ripple has to offer. Let’s talk about everyone’s favorite: the food. When looking for a place to eat, it can seem a bit overwhelming because there are so many places to choose from. While there are a wide variety of chain restaurants, the real magic happens in Broad Ripple’s hidden gems. For great Mexican food and a fun atmosphere, La Piedad is my first choice. A newer addition to the Broad Ripple scene is Canal Bistro. This spot features fantastically authentic Mediterranean food in a relaxed atmosphere right on the canal. The feta cheese and garlic french fries are to die for. 3 Sisters Café is an unassuming little place, but it has an amazing menu and has been featured on The Food Network’s “Diners, Drive-Ins, and Dives.” Of the many options available, however, my go-to restaurant is Broad Ripple Bagel Deli, where the food and staff members are just as loud and exciting as the building’s teal exterior. Stop in for a “Boilermaker,” “Hoosier Daddy,” or my personal favorite, “Blonde Bombshell” and be prepared to get messy. One of the best things about Butler is it’s close proximity to both Broad Ripple and downtown Indianapolis. I have recently become more acquainted with the downtown area, and although it is quite different from Chicago, I have come to love it in it’s own unique way. My true love for Indianapolis began last February when this small but mighty city took on Super Bowl XLVI. The transformation that the city went through was incredible, and my friends and I took the 10 minute drive downtown every day that week to take it all in. From the free concerts, the zip-line to the celebrity appearances, every day was a party and Indianapolis was in the limelight. Anybody who was anybody wanted to see for themselves how Indianapolis was going to pull this off, and those who were lucky enough we able to play a small part in it. Imagine walking home from the library only to see Jimmy Fallon himself filming a piece for his live show right on Butler’s campus! Then imagine watching the live show of “Late Night With Jimmy Fallon” after the SuperBowl and seeing some of your best friends dancing alongside Fallon himself on your college campus as a part of the opening scene. On national television. Incredible. When the Superbowl was over and the Circle City went back to its normal routine, I was left with the realization that Indianapolis has something incredibly special to offer. From then on, I have been embracing every opportunity to get out and explore the city that I am proud to call “my second home.” Stay tuned for updates on my latest adventures!